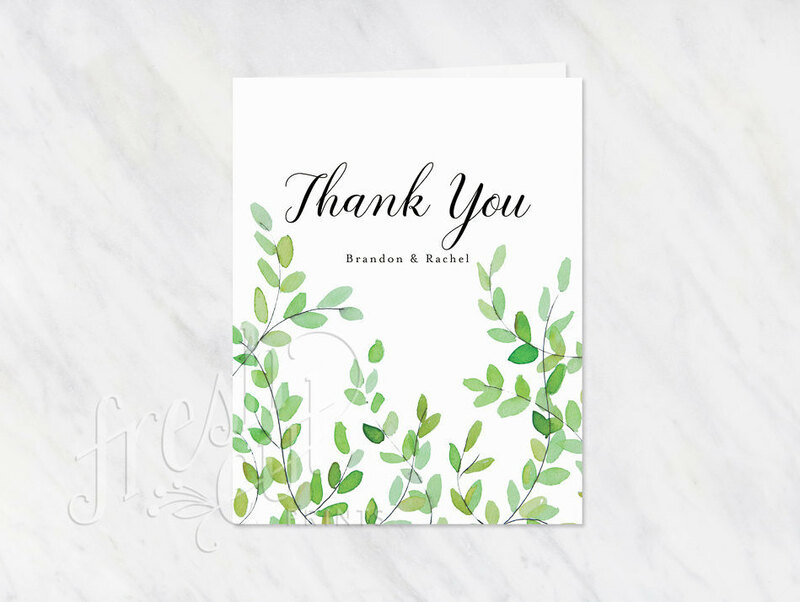 Beautiful on their own, or purchased in combination with the botanical branches wedding collection, these thank you cards are customizable with your names and/or wedding date. 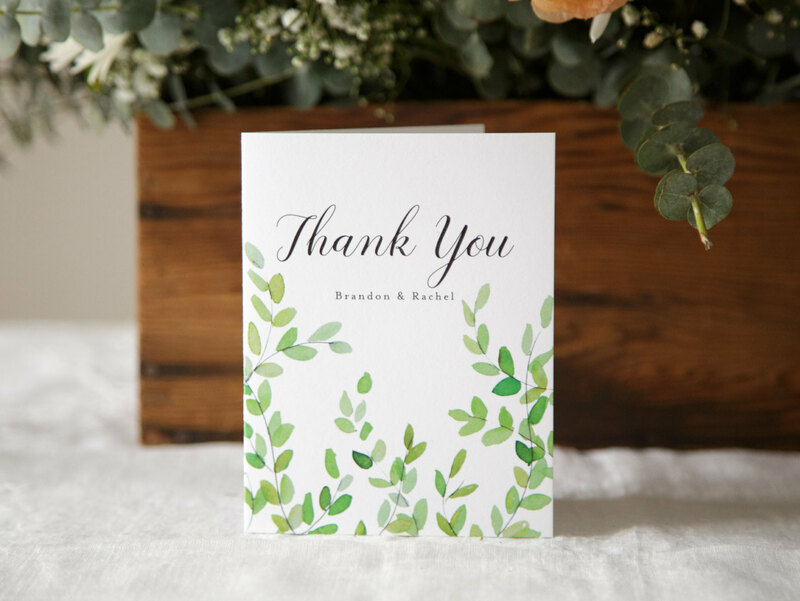 Please enter your desired text in the notes at checkout, or email erin@freshcutprints.com. Within 1-2 business days, you will receive a digital proof. Once you’ve approved your proof, you can expect to receive your printed cards in 2 weeks.